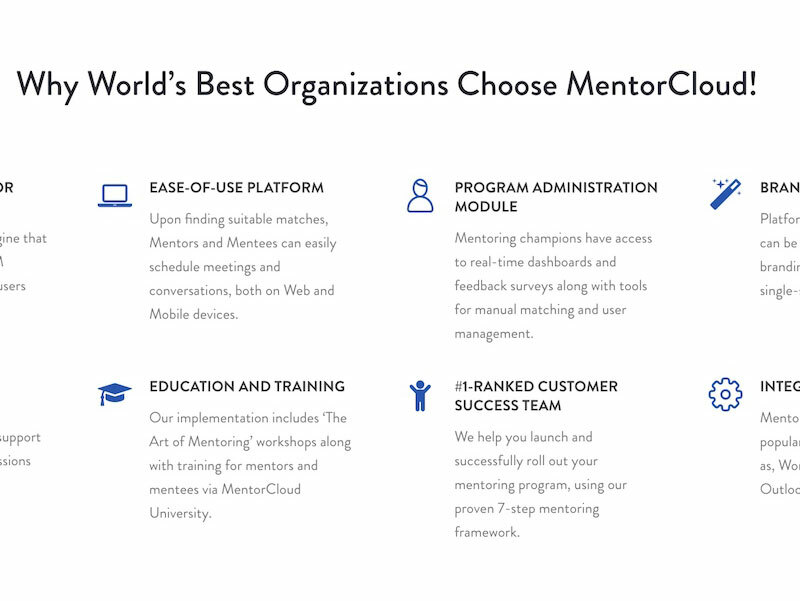 Based in Silicon Valley, Mentorcloud is a mentorship software platform that serves big corporations and organisations in developing their mentorship capabilities - driving higher engagement, retention and learning for employees. Mentorcloud is a 500 Startups alumni company. MentorCloud came to us during their rebranding phase and was developing a stronger landing page where they could maximise conversions from paid and organic traffic. Our approach revolved around understanding their competitors and defining the edge Mentorcloud naturally had as well as angling towards the theme of ‘sparking conversations’ to connect better with their target market. We adopted a long-form approach to their landing page while placing bigger emphasis on defining the challenge facing companies without a highly engaged workforce.